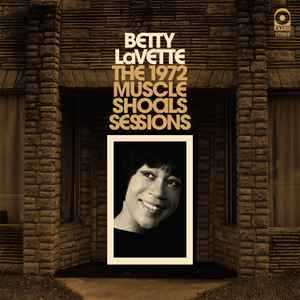 First full length vinyl issue of LaVette's aborted 1972 Muscle Shoals Sessions for Atco plus 2 bonus 1972 tracks recorded in Detroit. 180g black vinyl pressed at Record Industry in the Netherlands. Comes in a single pocket UV laminated Stoughton tip-on jacket that is numbered. Tracks A1-B5: recorded at Muscle Shoals Sound Studios, Muscle Shoals, AL in November 1972. Tracks B6 & B7: recorded at G.M. Studios, Detroit, MI, in May 1972. I have loved these recordings for years! Thrilled to finally have them on wax. Really nice press, well balanced sound and nicely packaged. Would have loved some notes from Bettye included after all this time! Wondering what others think? It seems to have been recorded at a low volume so I have to turn the volume way up. Besides that, it sounds fantastic.